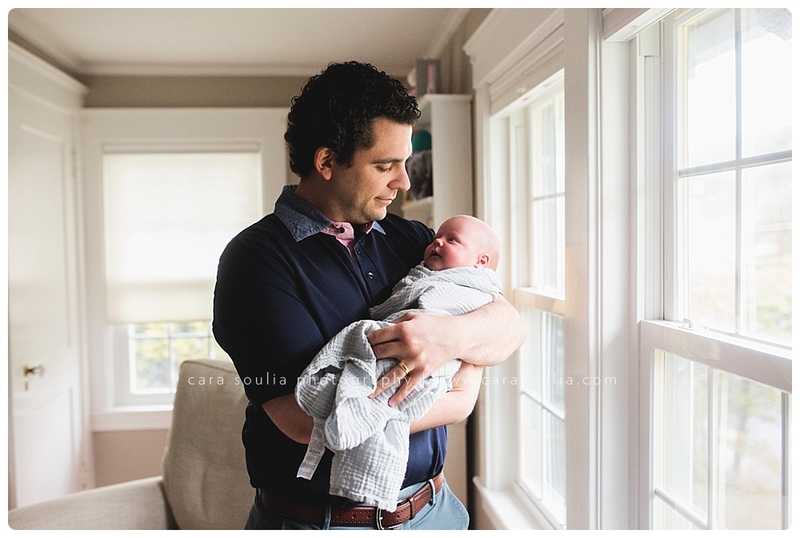 Mom had warned me on the phone that her husband has never been a huge fan of having his picture taken, but I never would have guessed it as we spent the morning together chatting about life, work, and their new roles as parents. 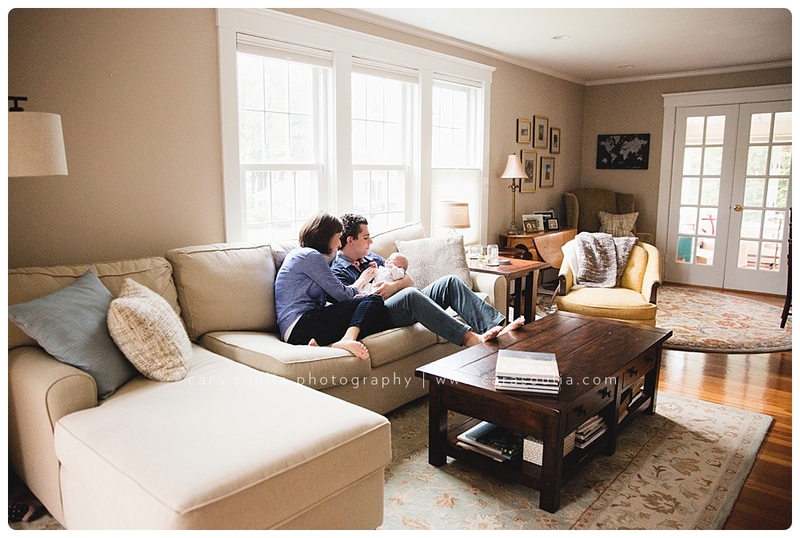 I think a lot of times people hear the word “photographer” and they think they will have to sit in awkward poses or contrived scenes. 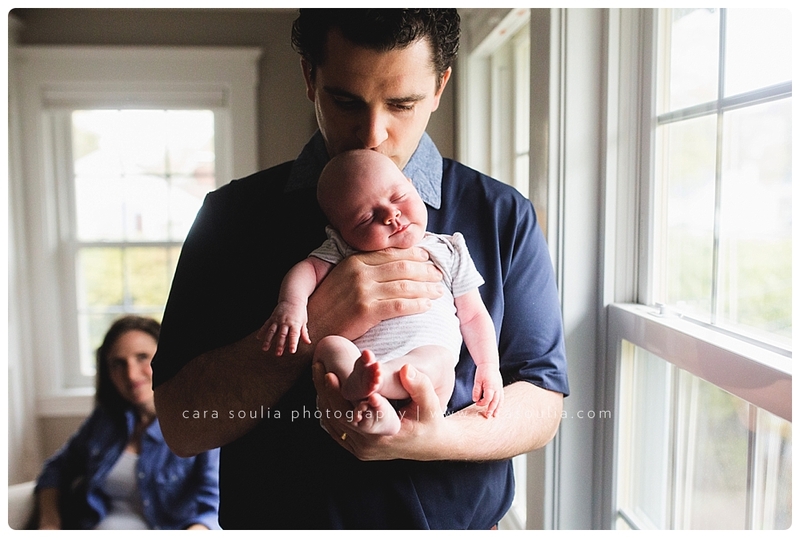 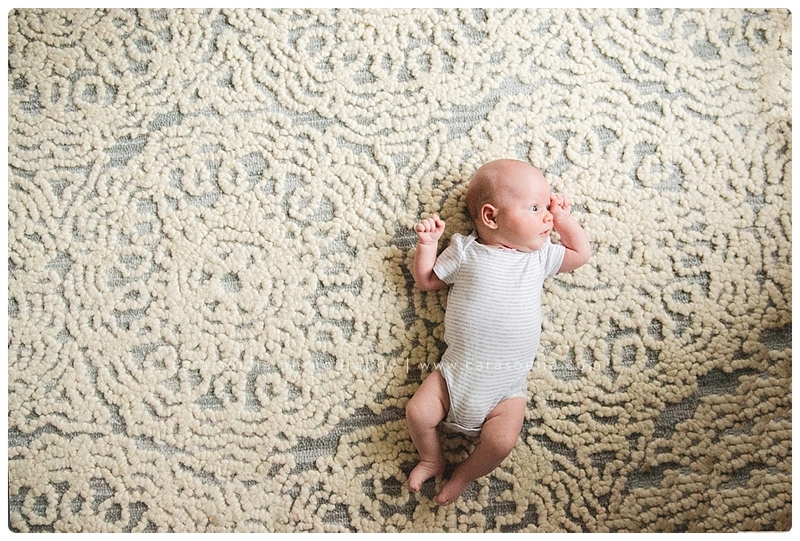 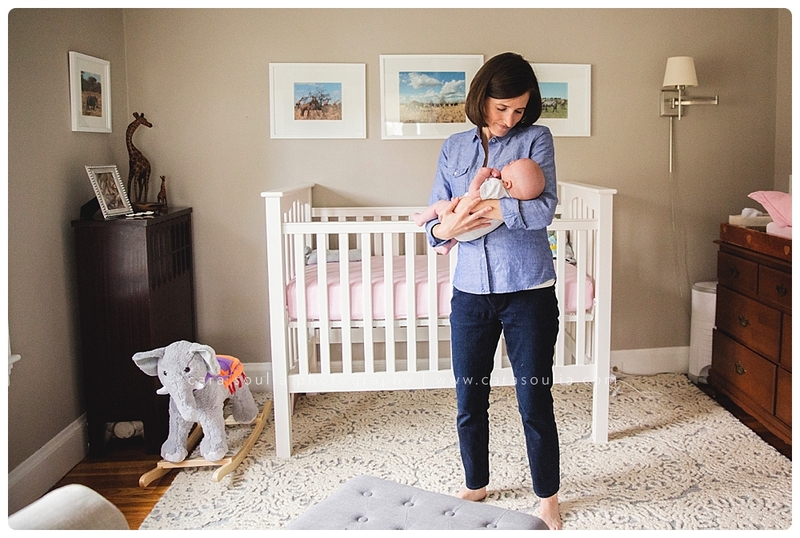 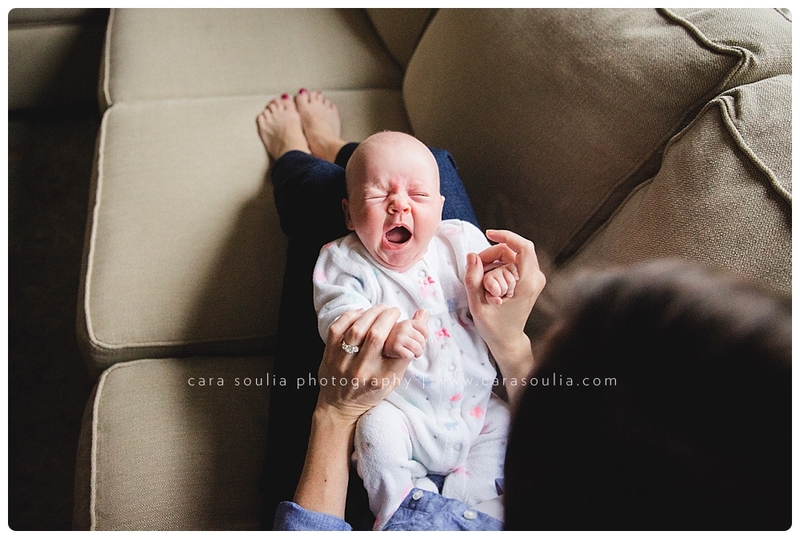 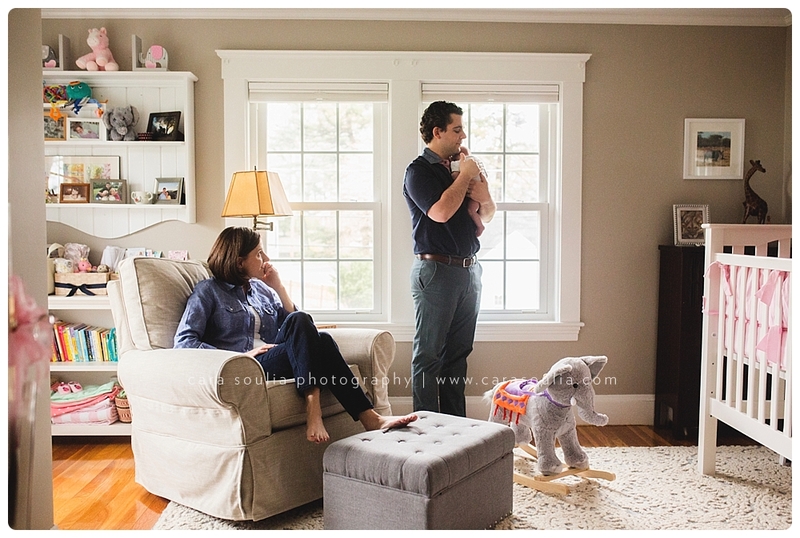 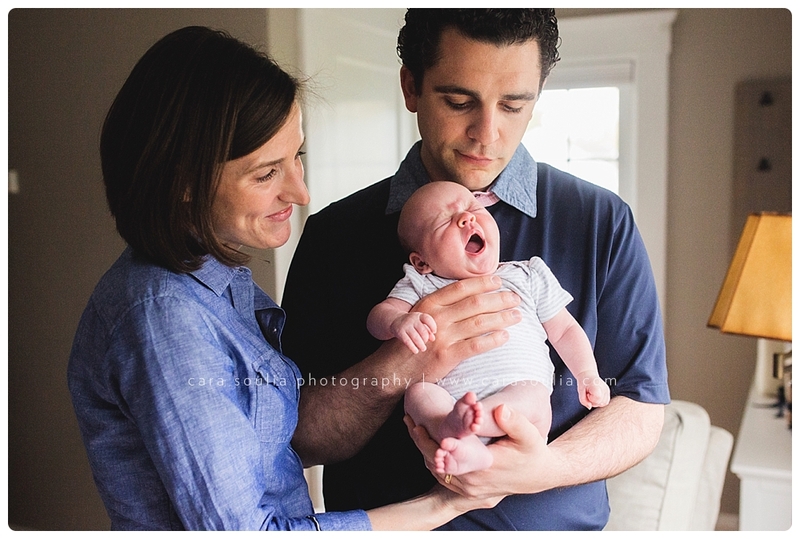 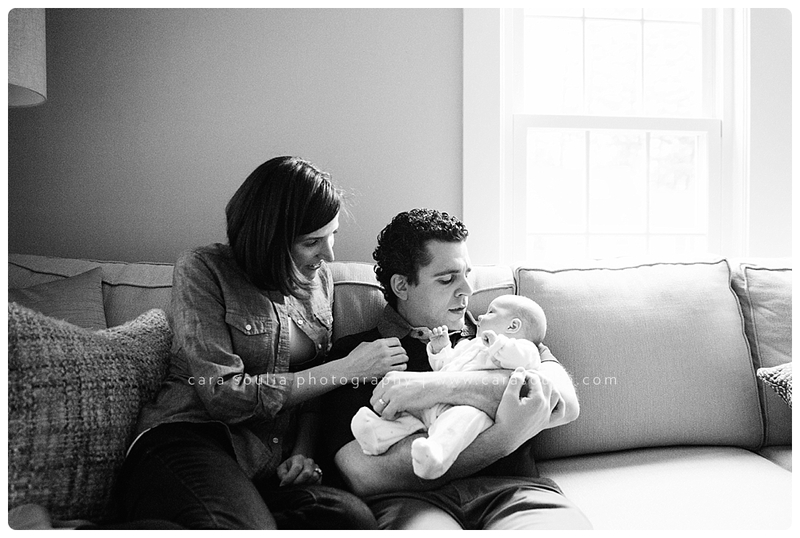 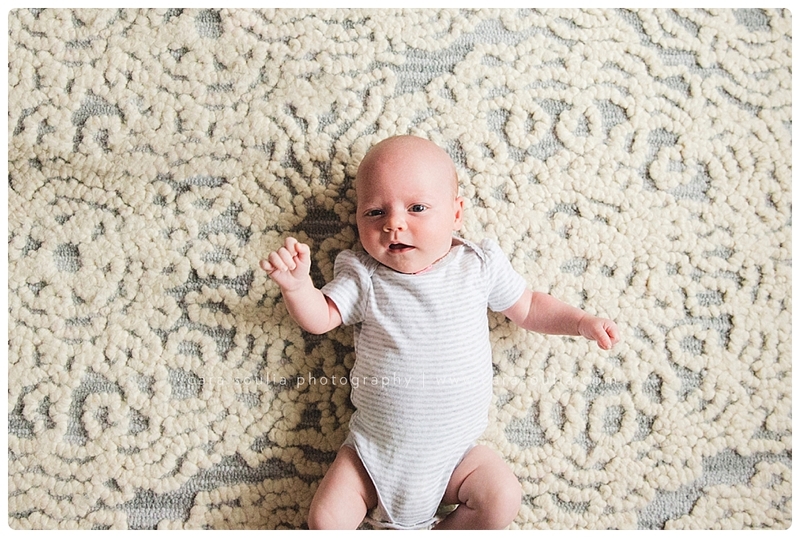 In reality, a newborn session at your home couldn’t be more opposite. 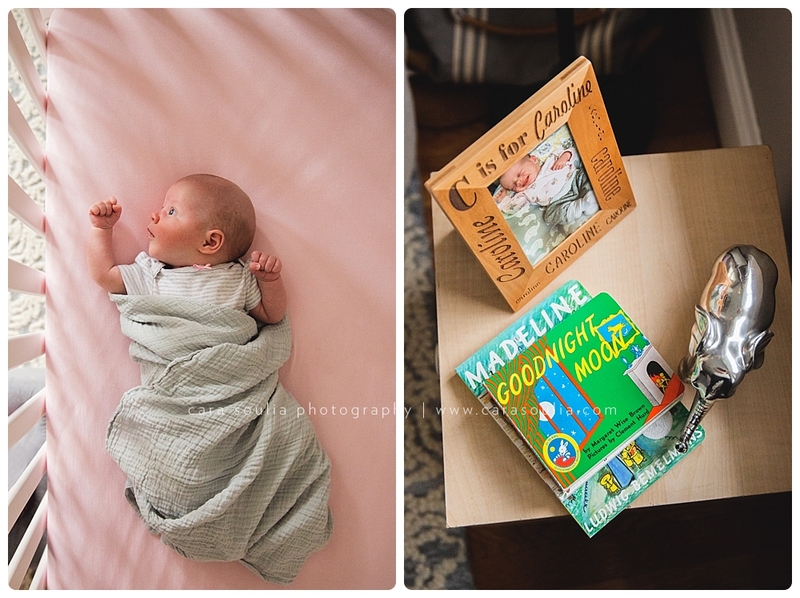 I like to think my newborn sessions are like a friend coming to visit your new baby and bringing her camera along… and maybe asking for one or two moments of eye contact during the whole visit… :). 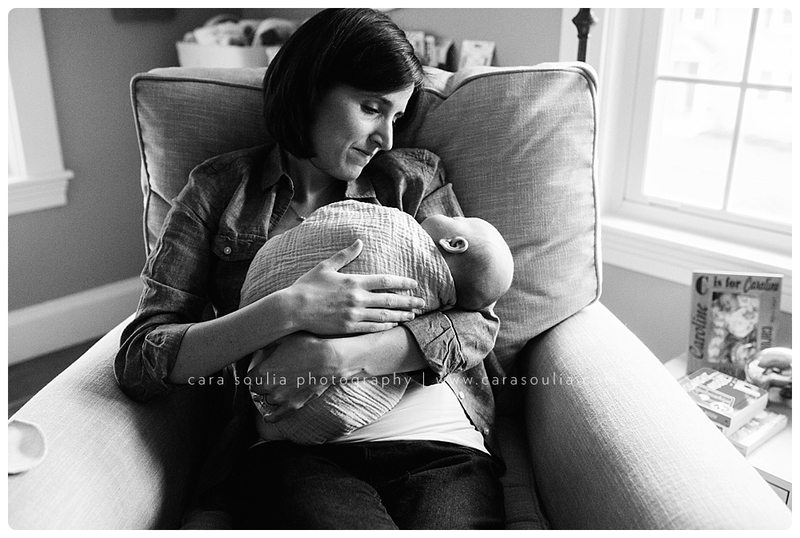 It’s really quite painless–even for the camera-shy–and the results are treasures that will last a lifetime. 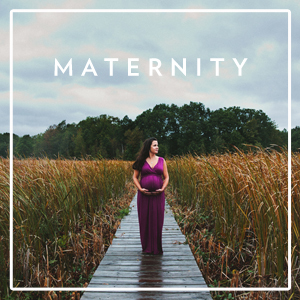 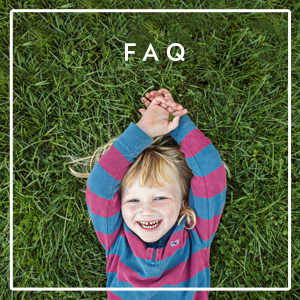 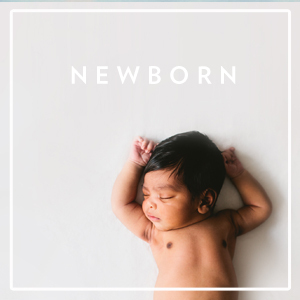 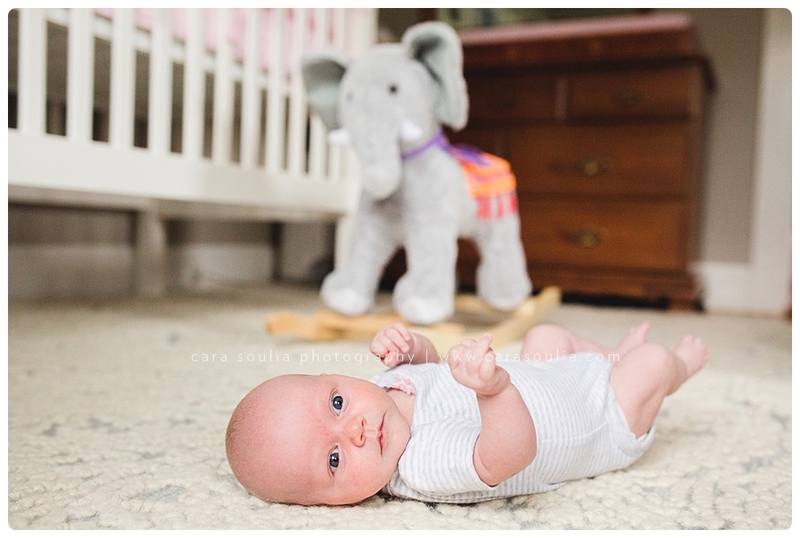 Click here to find out more about scheduling a newborn session for your baby! 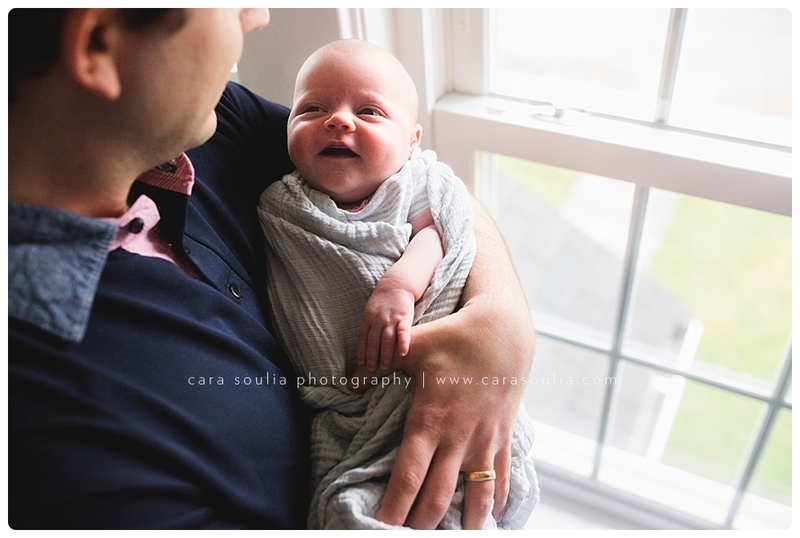 Smiles are few and far between when babies are this young, but we managed to grab this one….Daddy’s little girl!! 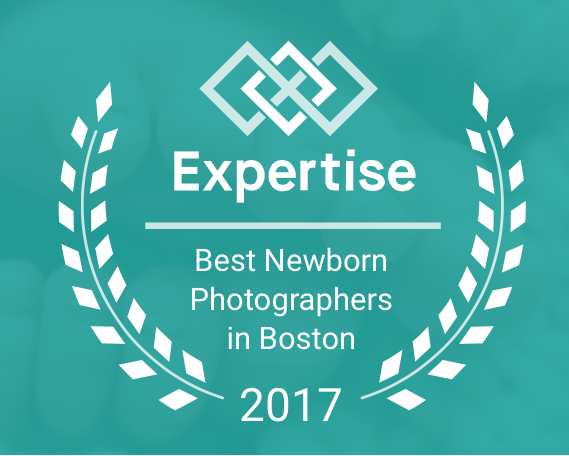 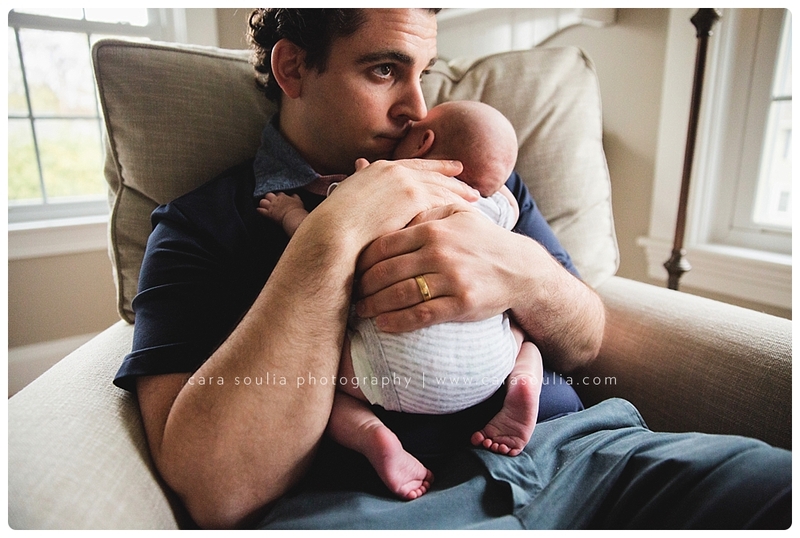 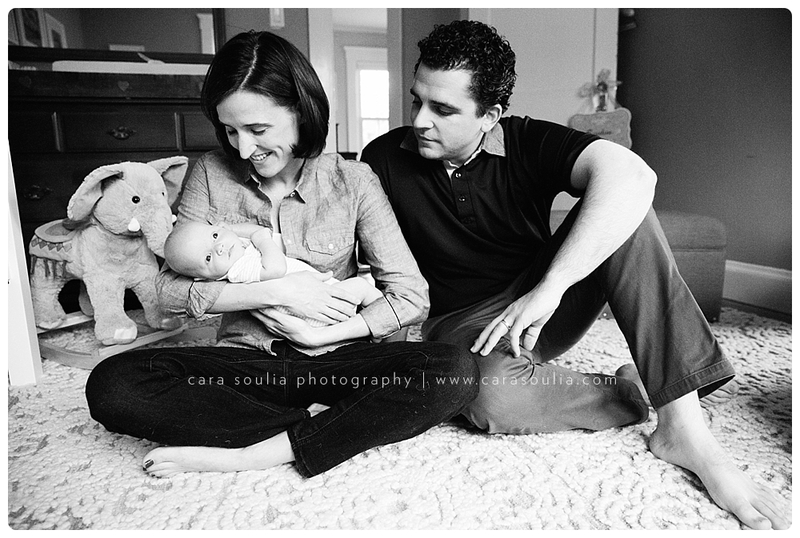 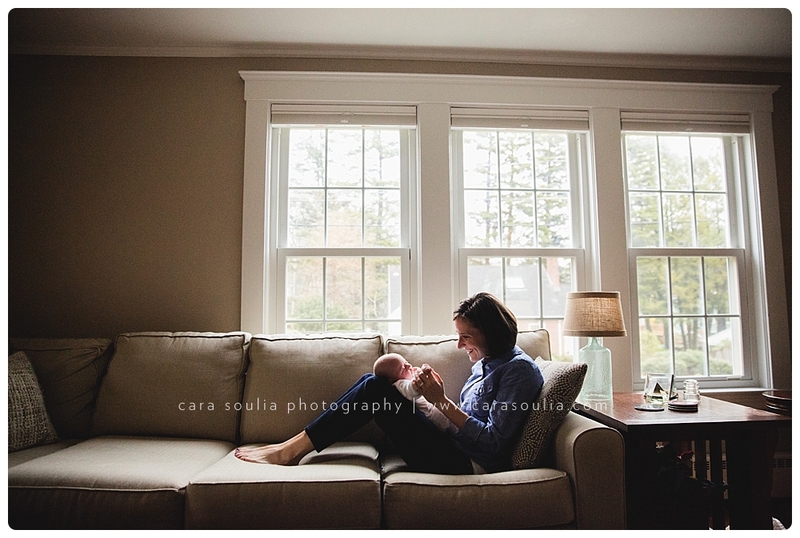 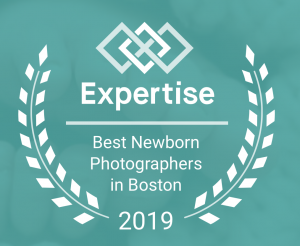 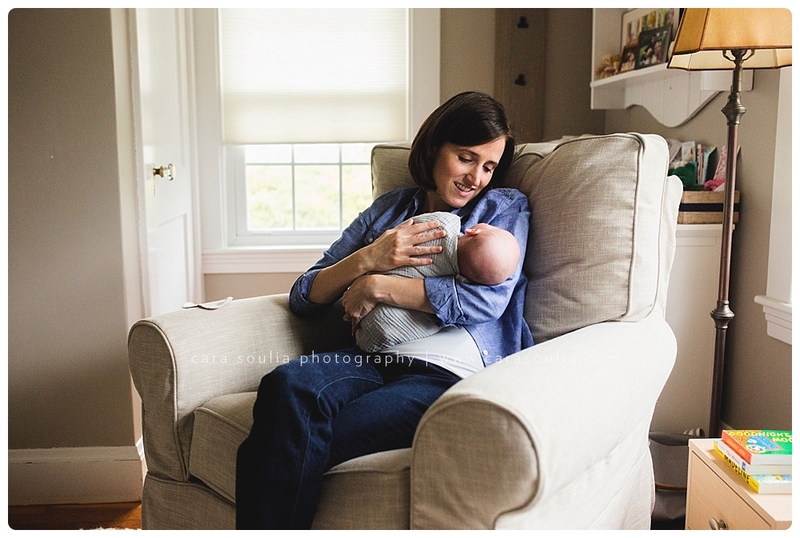 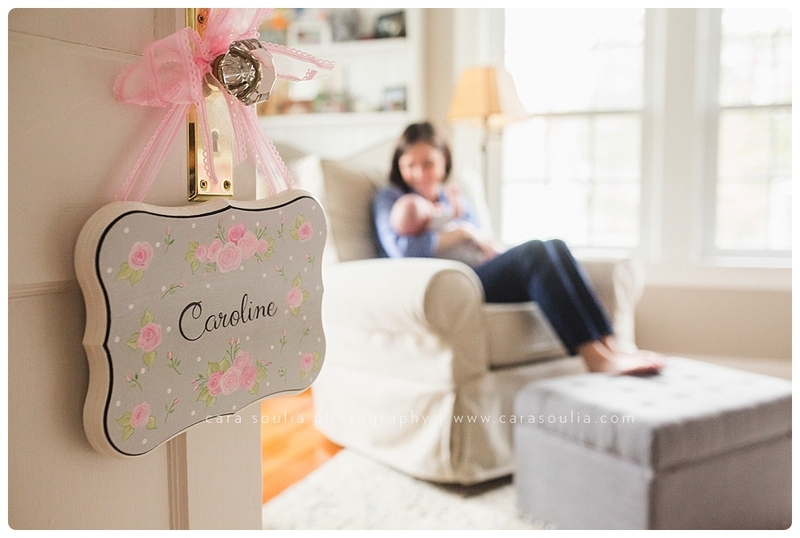 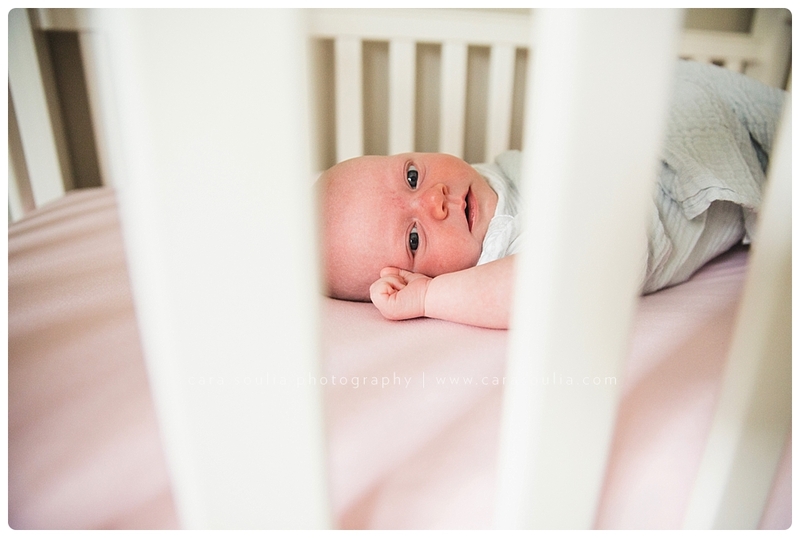 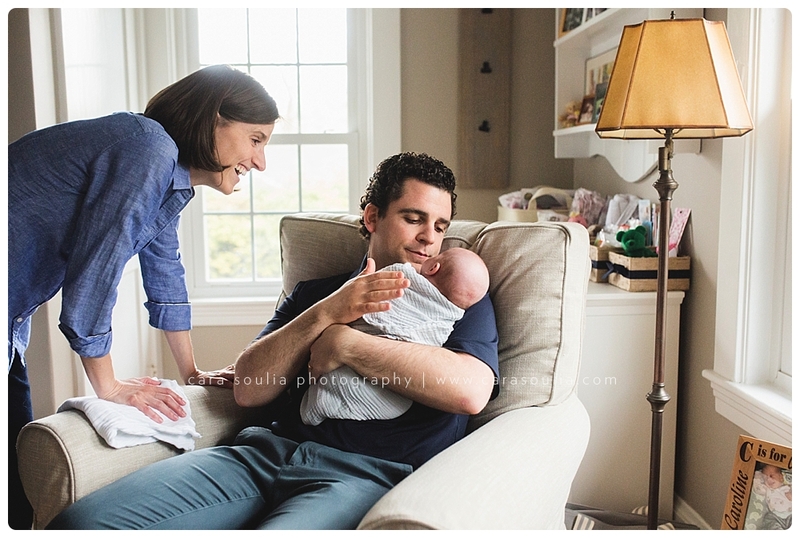 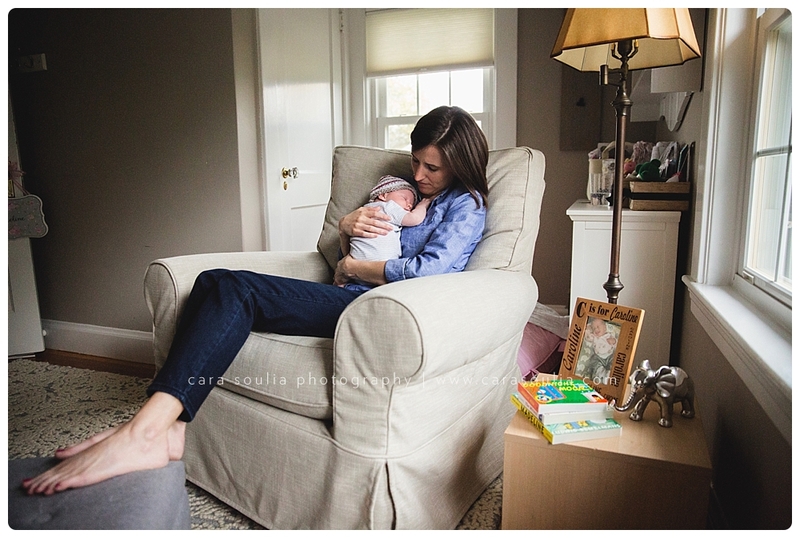 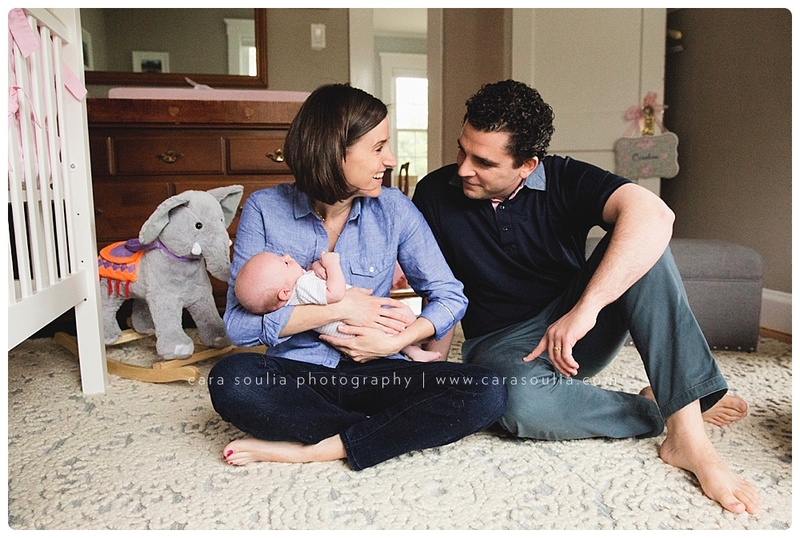 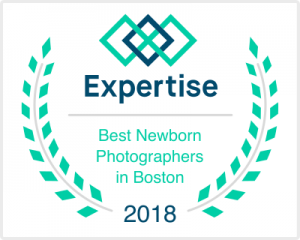 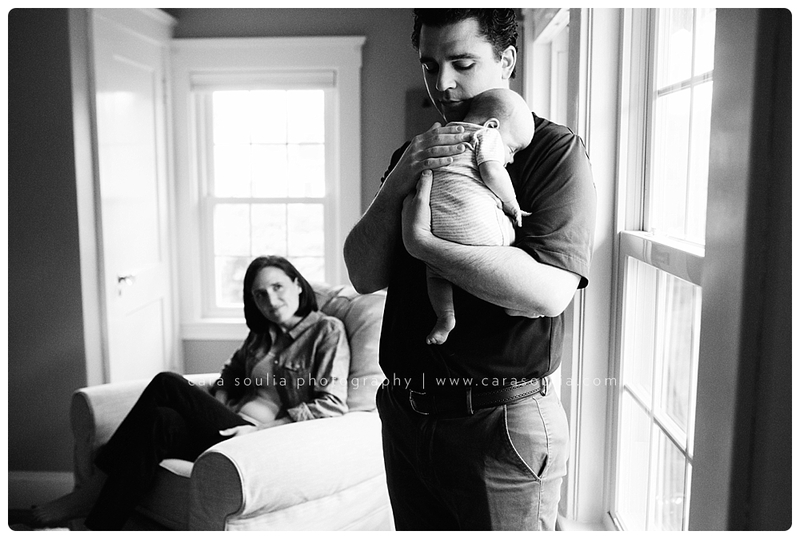 Cara Soulia, Newborn Photographer Needham Massachusetts. 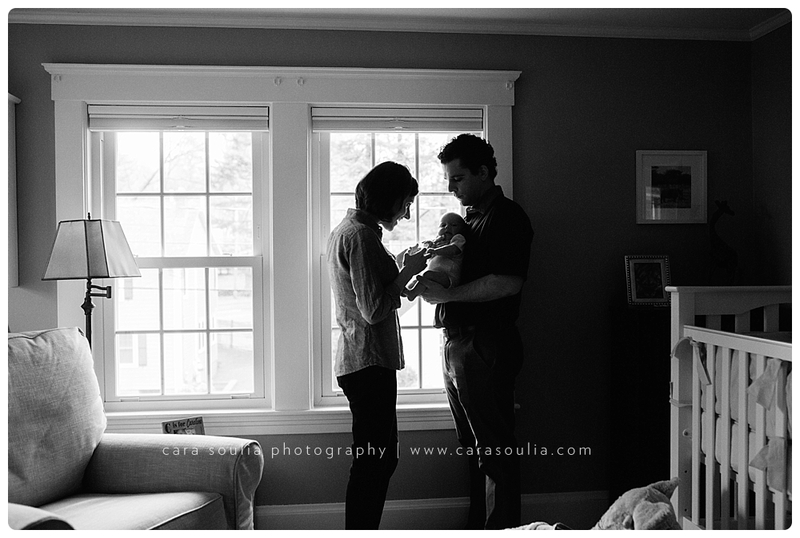 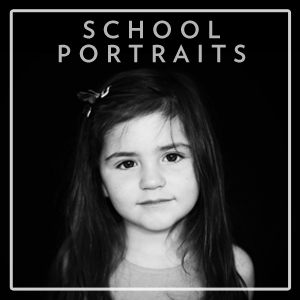 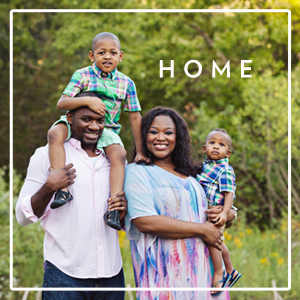 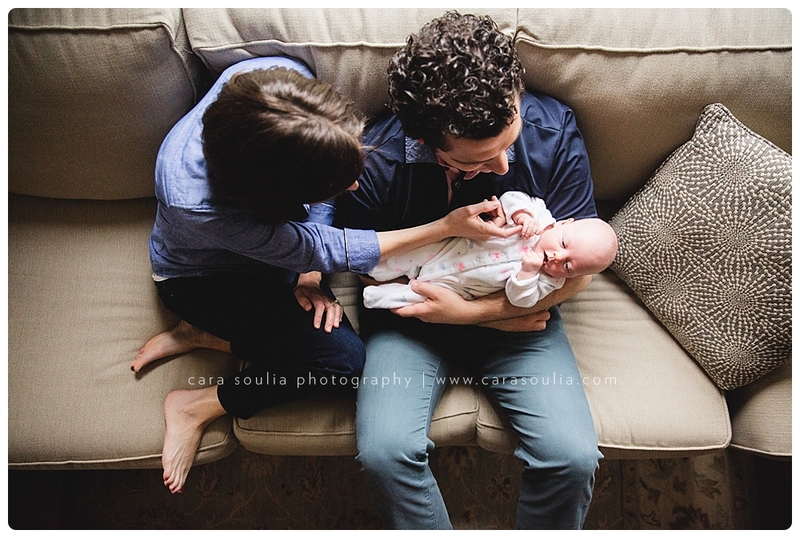 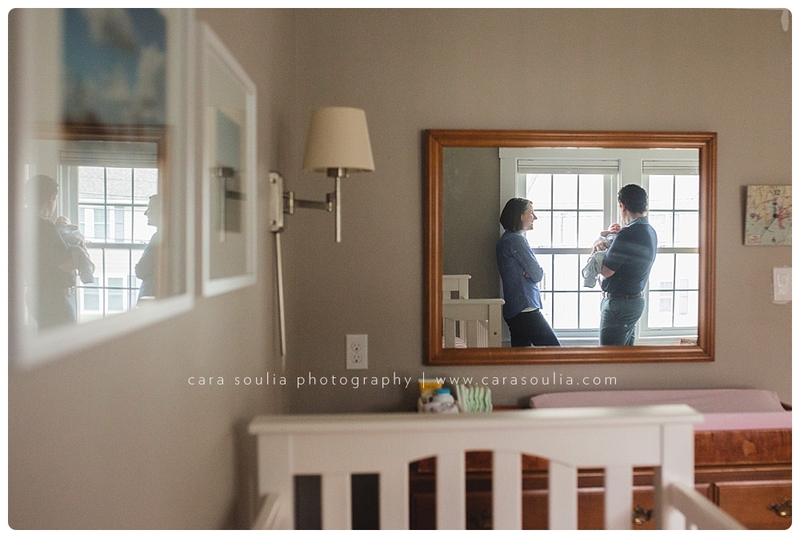 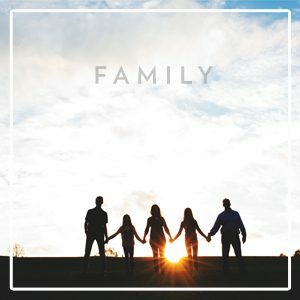 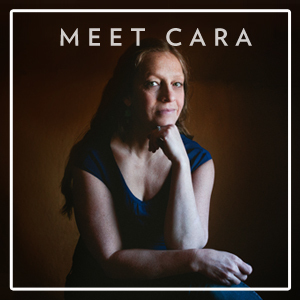 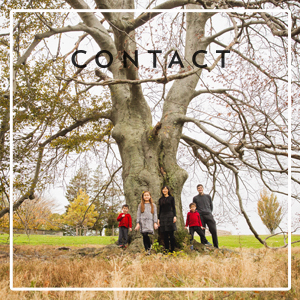 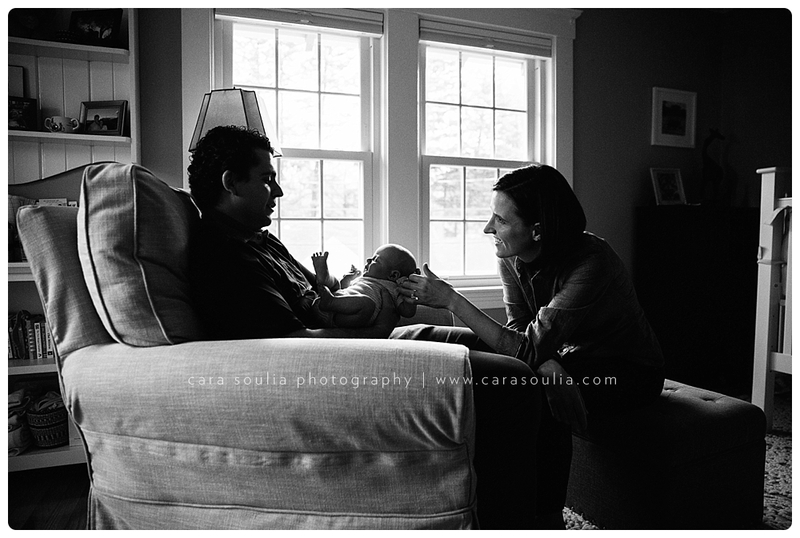 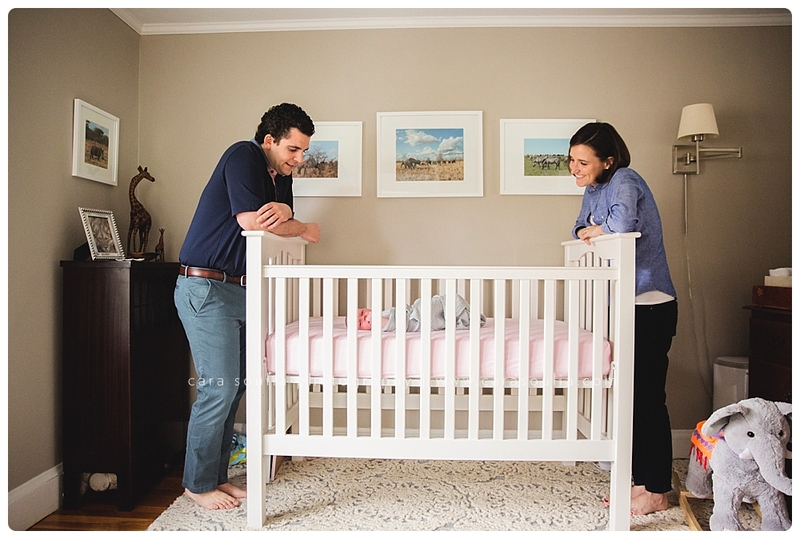 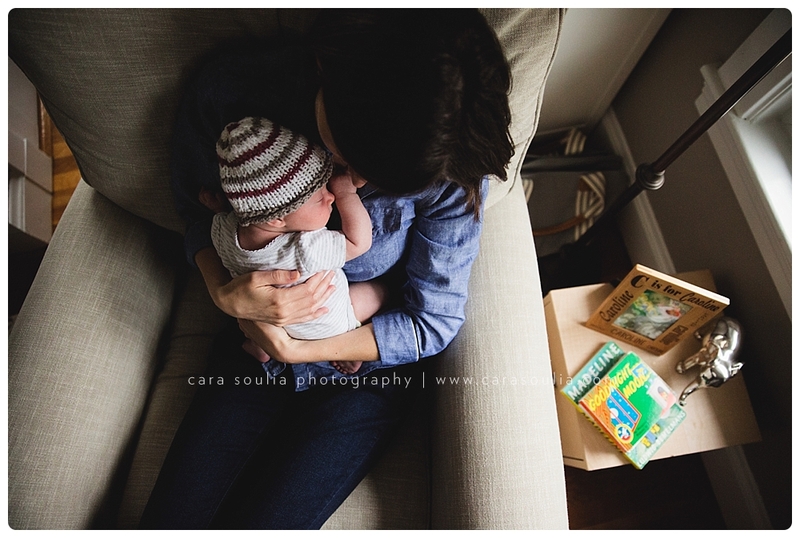 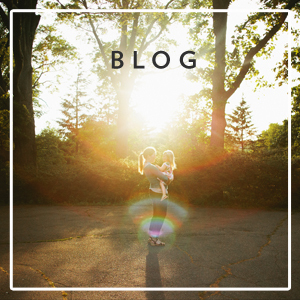 Cara specializes in capturing real, honest moments in a beautiful and artistic way. 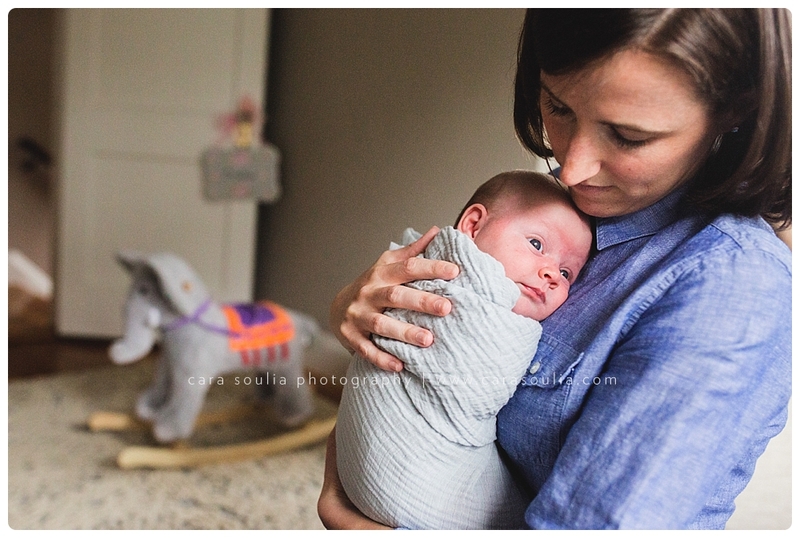 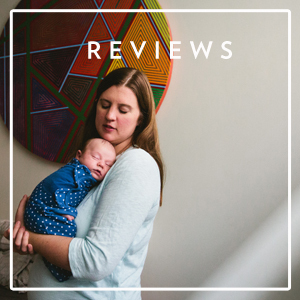 See more in home newborn sessions here, read all about what it’s like to have a photo session with Cara or get in touch to find out more about scheduling your newborn session!